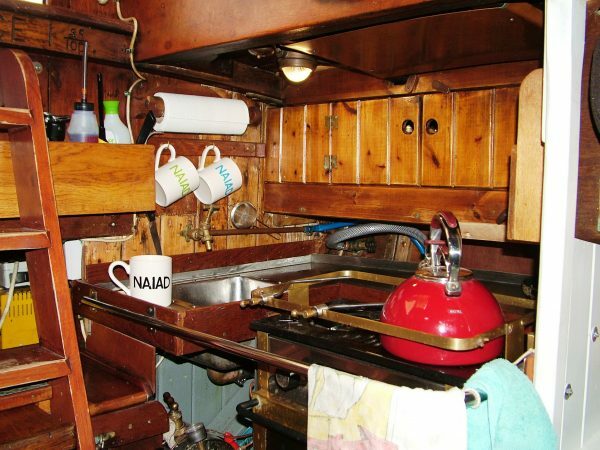 Sail: Bermudian Cutter rig sets 400 sq.ft. 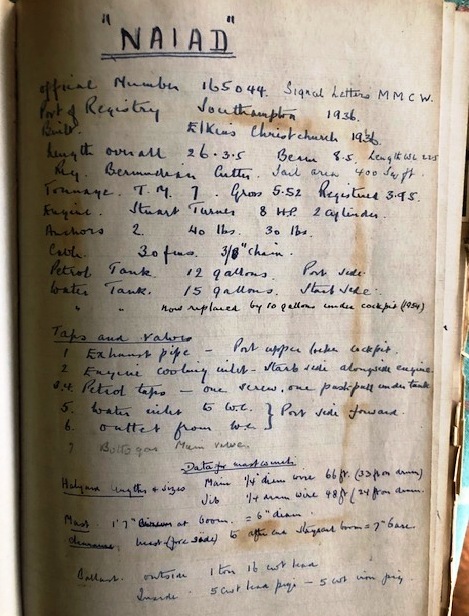 Dr T Harrison Butler was a strong believer in the ‘metacentric shelf formula’ to achieve good balance and handling under sail. 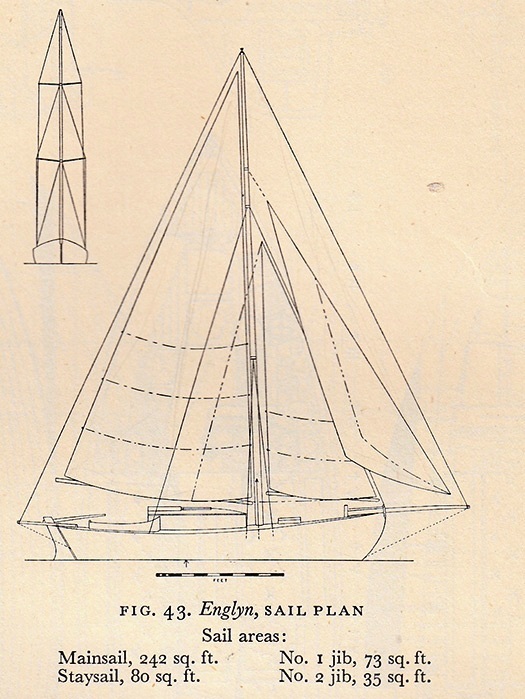 The theory held that as a yacht heels under sail, its balance will depend on the immersed form of the hull, with different sections exerting varying degrees of buoyancy and aft sections possibly being more buoyant than forward sections. Metacentric shelf analysis plots the shifts in the varying buoyancies as a net value to windward or leeward and serves as a guide to achieving equal buoyancy in the dissimilar ends of a design. The work can now be done by computer, but when it was applied by the brain, hand and eye of Dr Harrison Butler it produced famously sweet-handling boats, in the age of heavy weather helm. 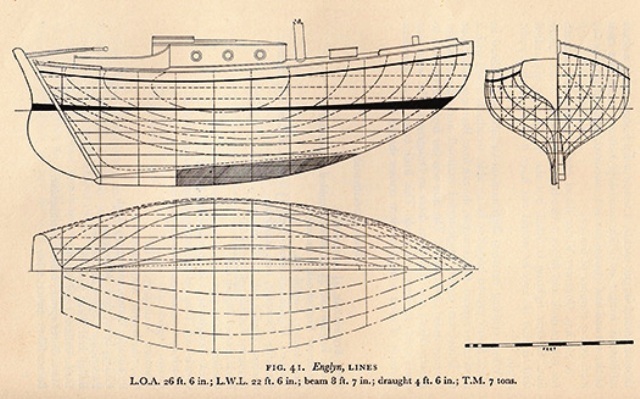 In the days before computers, Harrison Butler was known to cut out paper cross sections of his hulls in order to calculate lines of symmetry and centres of mass. Boats built to THB’s designs are much sought-after and owners eligible to join the Harrison Butler Association of approx 100 members worldwide. 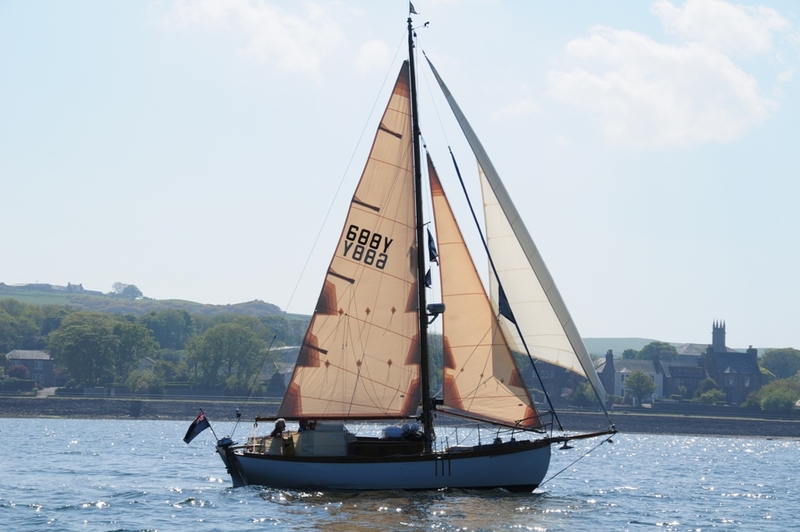 On the South-Coast of England, there is a growing stronghold of more than a dozen Harrison Butler designed yachts who meet afloat, on a frequent basis in the Solent or Isle of Wight. 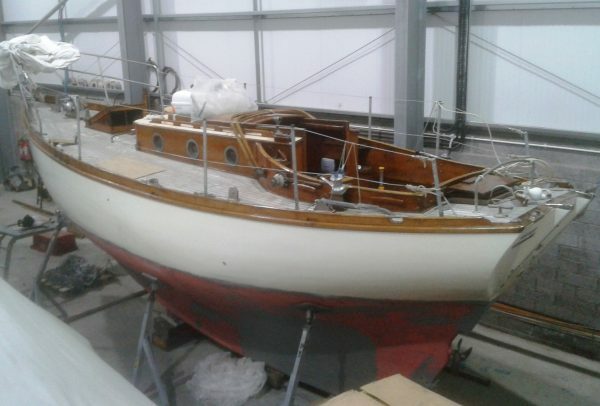 Naiad was built in 1936 for Mr A S Page of New Milton, Hampshire the fourth of seven yachts built to the Englyn design. 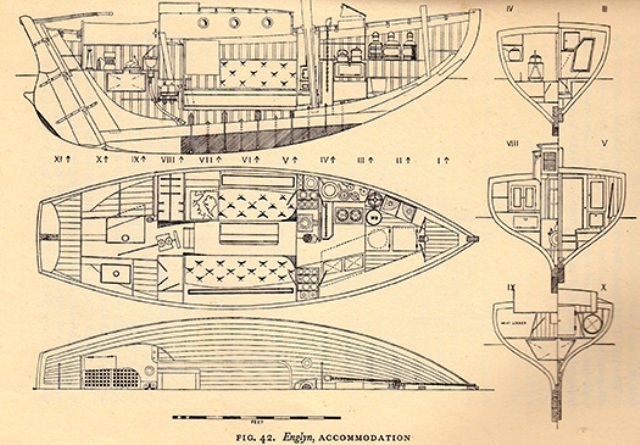 E F Elkins of Christchurch, famous for building the Laurent Giles Vertue class was chosen by Mr Page to build NAIDA to a high standard using quality materials throughout. 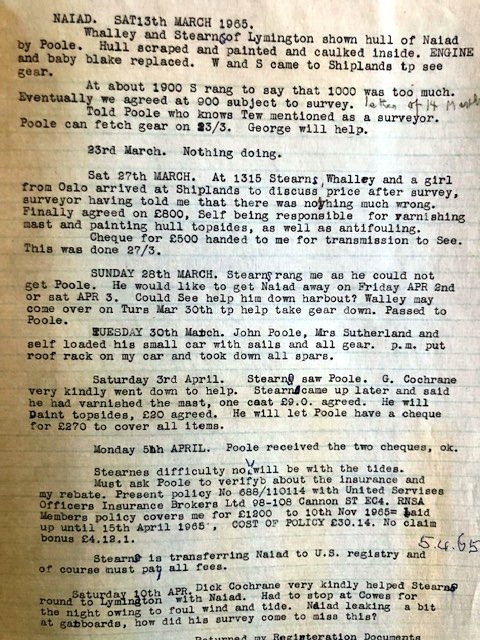 During the Second World War Vice Admiral James Dorling CB RN of Fareham became the second registered owner. He cruised extensively as a member of the Ocean Racing Club, Royal Cruising Club, Naval Yachting Association and Royal Yacht Squadron. 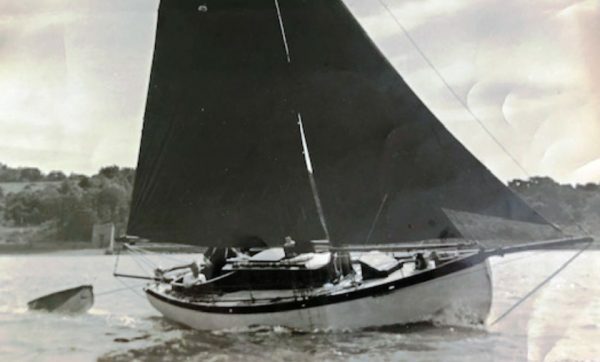 In 1966 Mr & Mrs G A Percival bought NAIDA keeping her on the Hamble. 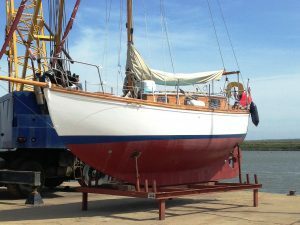 In May 1976 Neal Hill purchased the vessel. She remained in his caring ownership until his untimely death in March 2019. 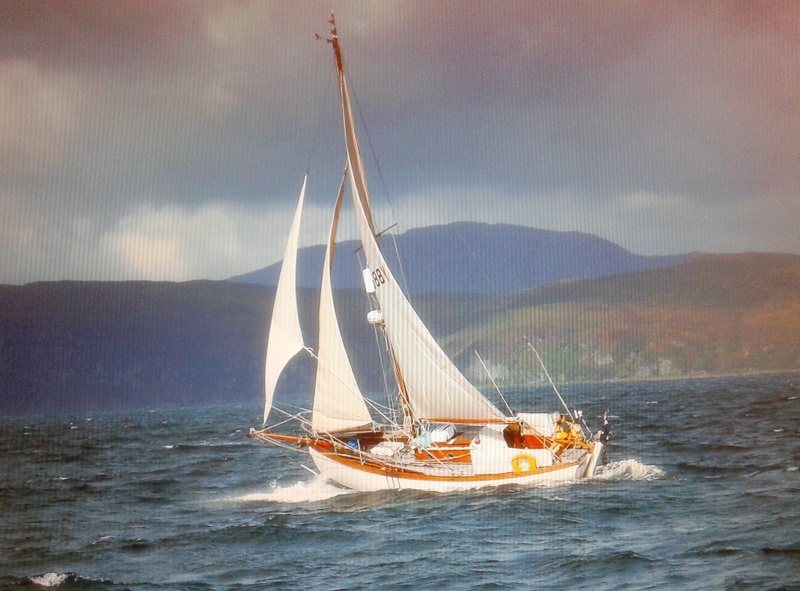 Neal was a stalwart member of the RYA, HBA and OGA. 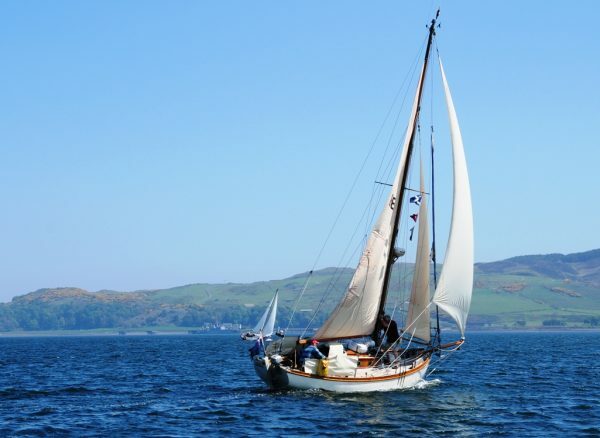 A competent and knowledgeable yachtsman who expertly maintained NAIDA to a high standard, cruising extensively from the Western Isles of Scotland. NAIDA was laid-up for the winter in the boat shed at Oban and with minimal fitting-out is ready for this season. 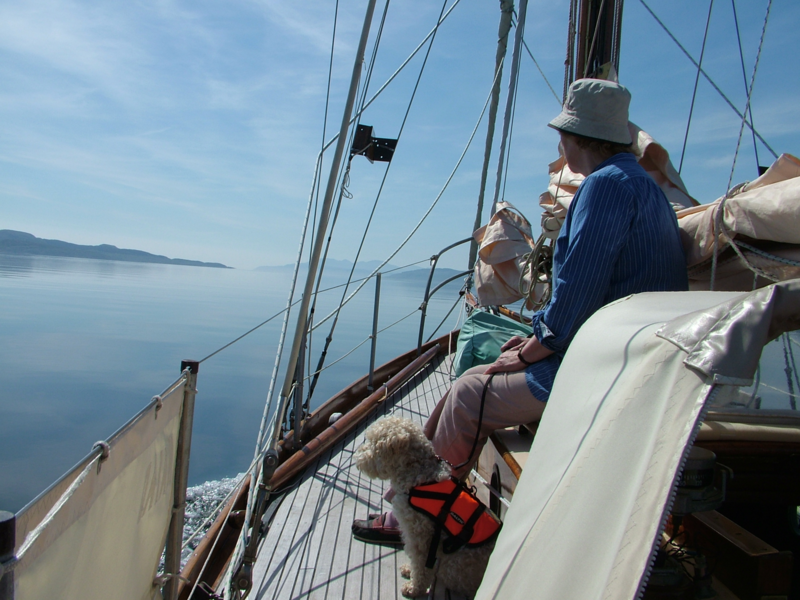 NAIAD is of traditional pitch-pine plank construction, copper nail and rove fastened to steam bent oak timbers. Oak centre line. Teak laid decks, cabin coamings, cockpit and brightwork. 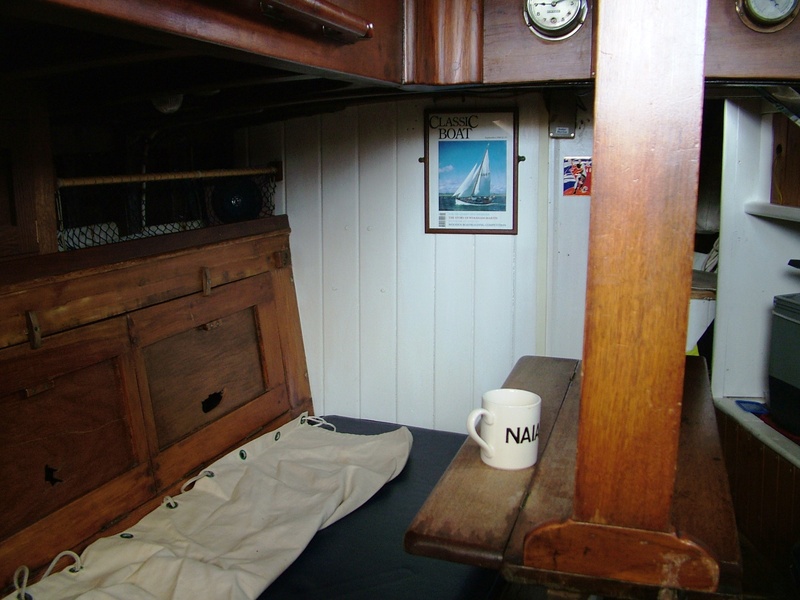 Original layout below decks with two cabins affording main saloon with port and starboard settee berths, Taylor’s paraffin heater. Galley with Taylor’s paraffin cooker. 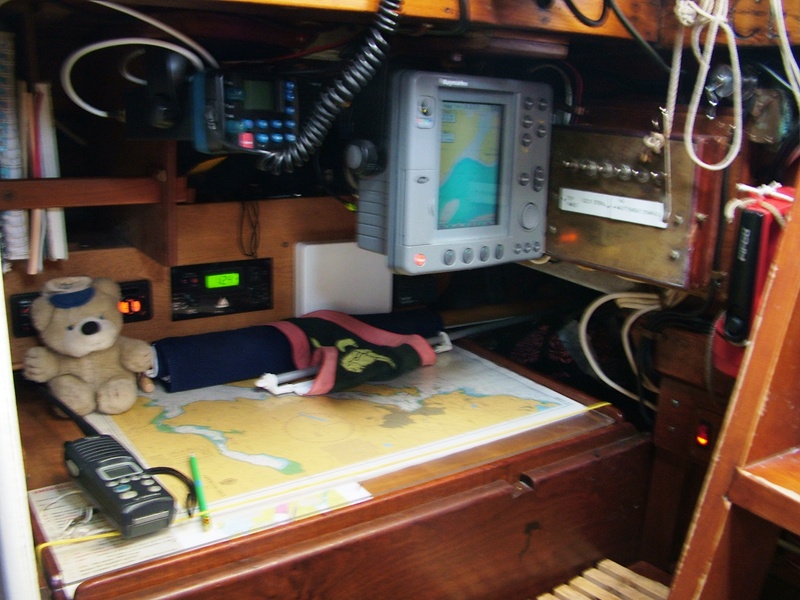 Chart table. Fo’c’sle with berth to starboard and marine heads to port. 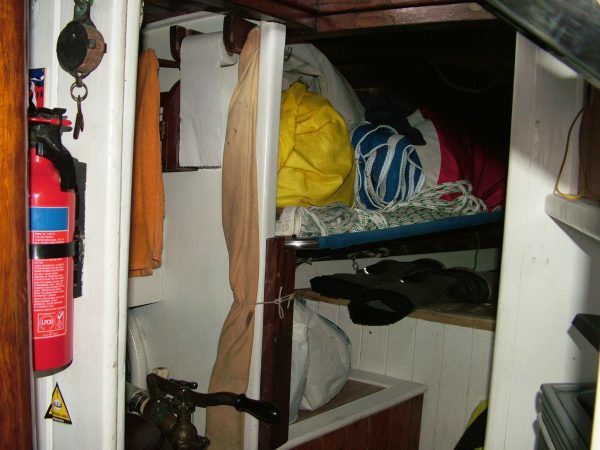 Sail stowage, chain locker. 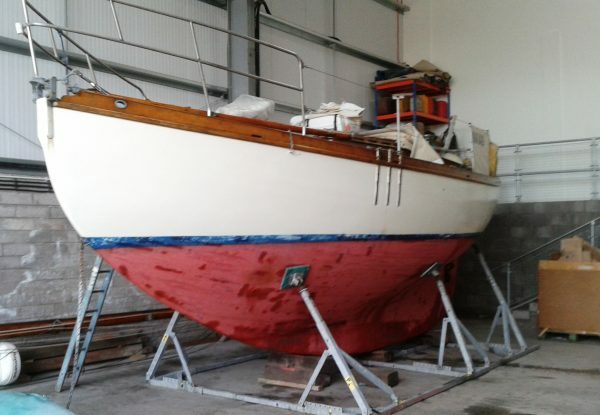 Bermudian Cutter Rig sets 400 sq.ft plain sail. Spruce mast and spars. 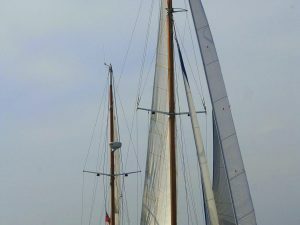 Set of sails. 20hp Yanmar 2GM20F marine diesel. 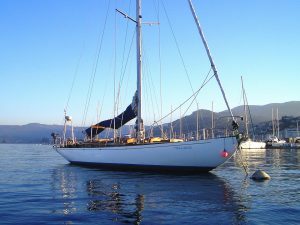 The designs of Harrison Butler are legendary, they offer beautiful, well-balanced yachts of great charm and character, evidenced by the strong following and enthusiasm of long-term HB owners. The Englyn design is probably one of the most attractive and sought-after of Harrison Butler’s designs and as such rarely becomes available.